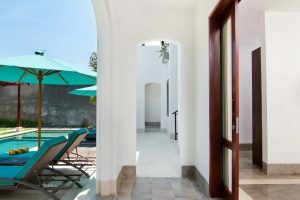 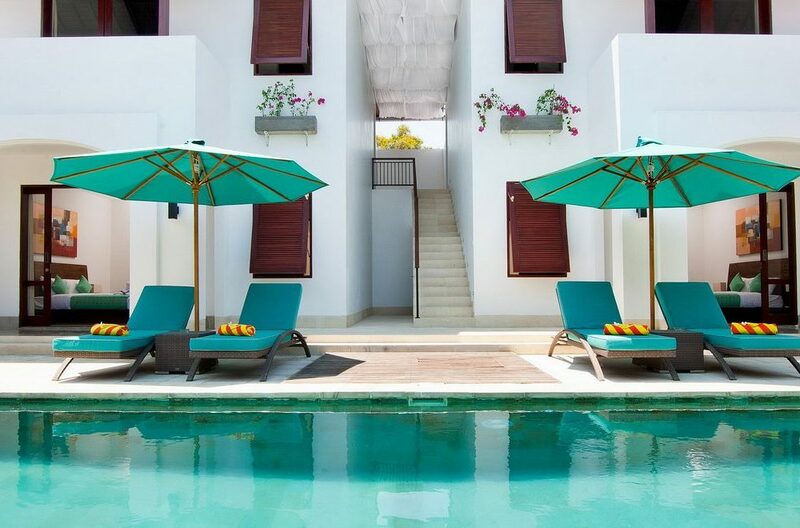 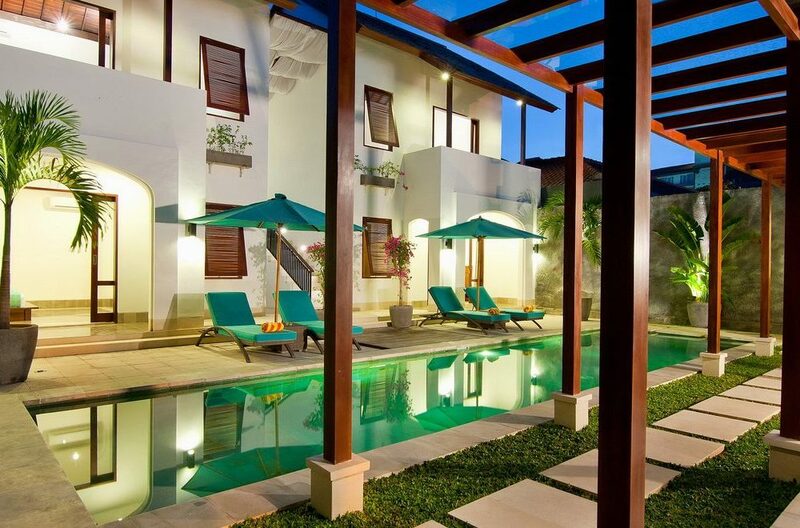 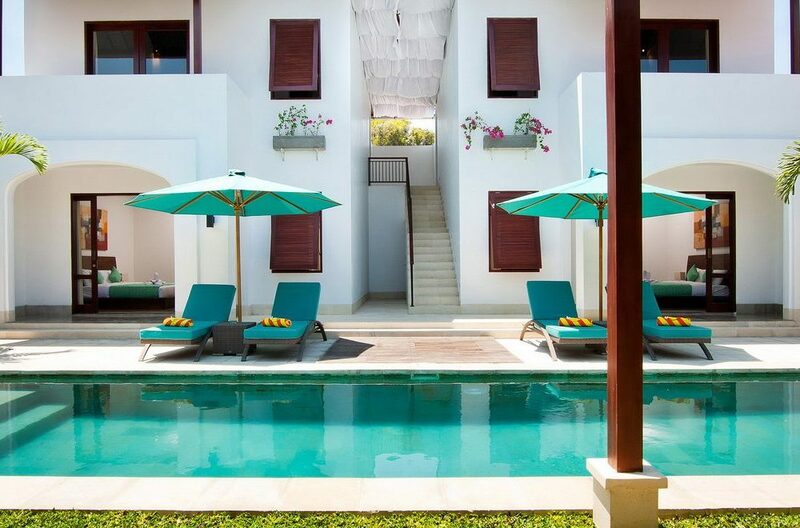 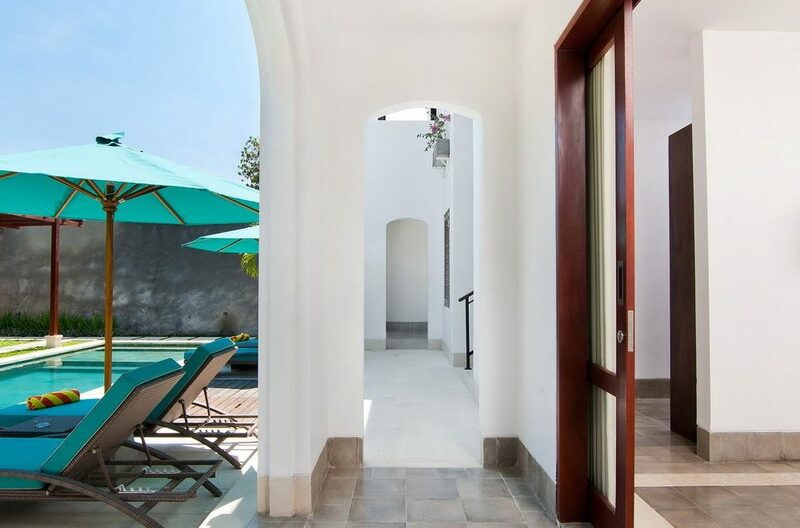 Villa Amalia is surrounded by a beautiful tropical garden and a spacious 12 meter swimming pool. 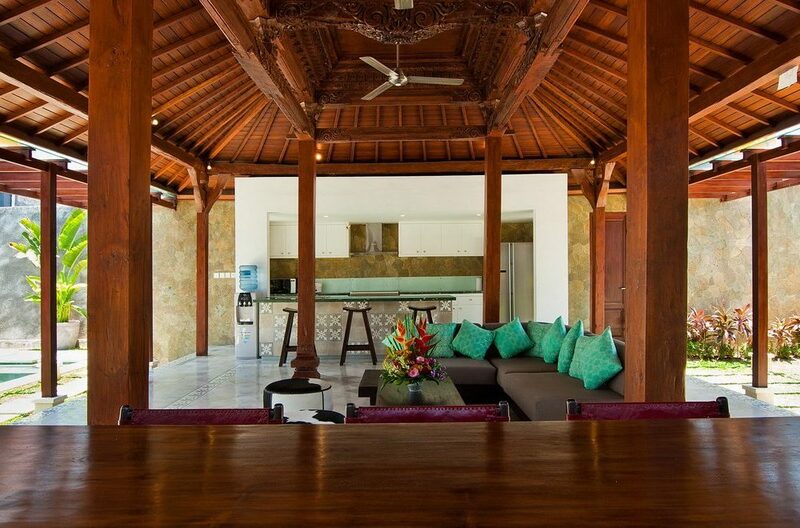 The villa is beautifully designed and furnished to the highest quality. 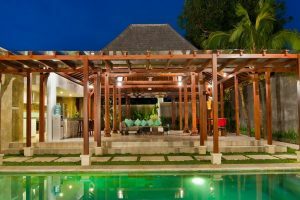 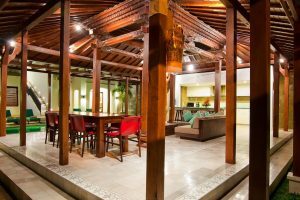 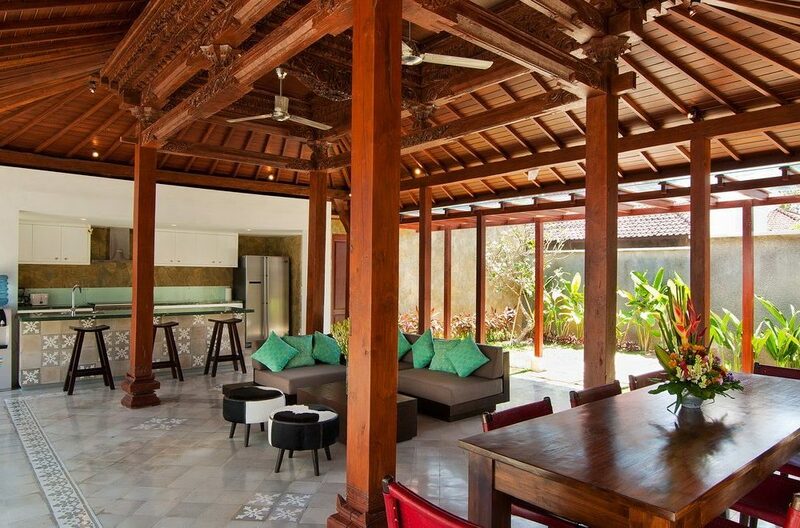 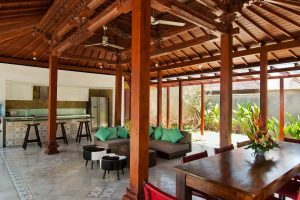 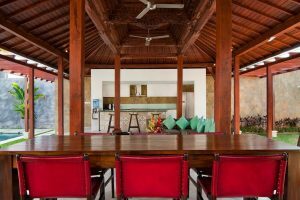 The vast living with open kitchen and dining is located in a beautiful traditional 150 year old wooden Javanese house, locally known as a “Joglo”. 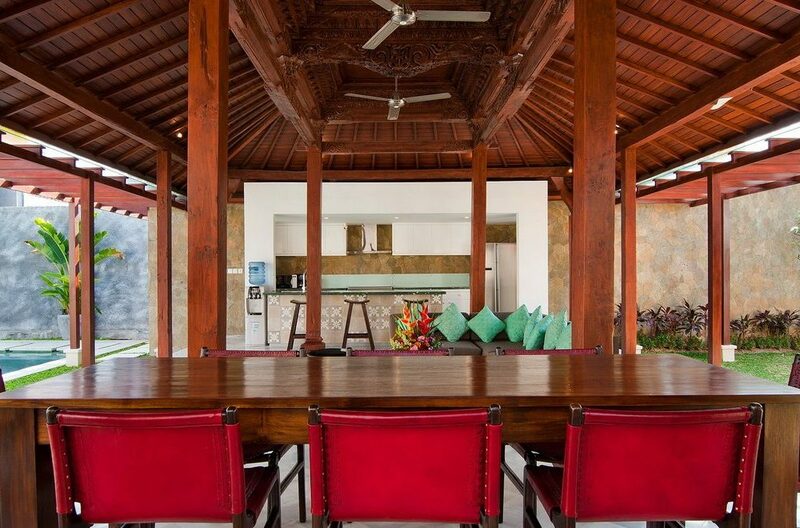 One of the key features of our Joglo are the remarkable wood carvings along the top and pillars. 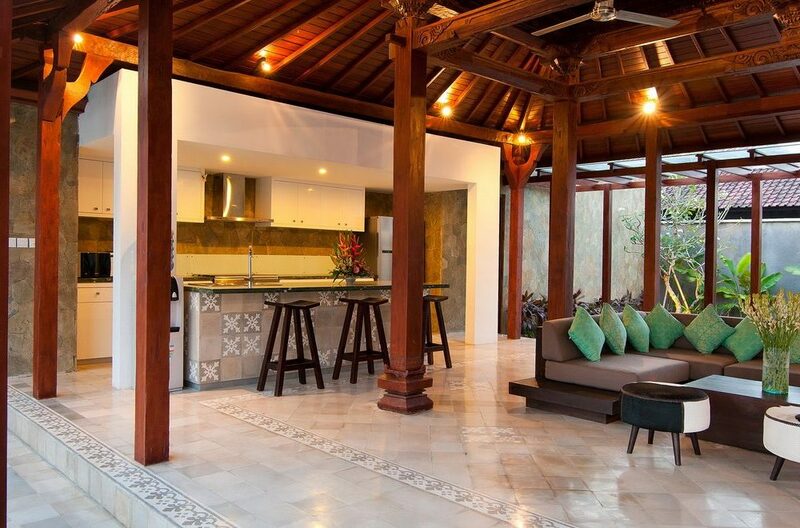 The kitchen is fully equipped and has an island bench with bar stools to watch your private chef do his magic. 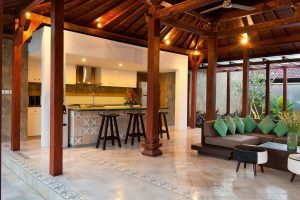 Microwave, coffee machine, large double door fridge and any other appliances that you need to make your stay comfortable are provide in our villa. 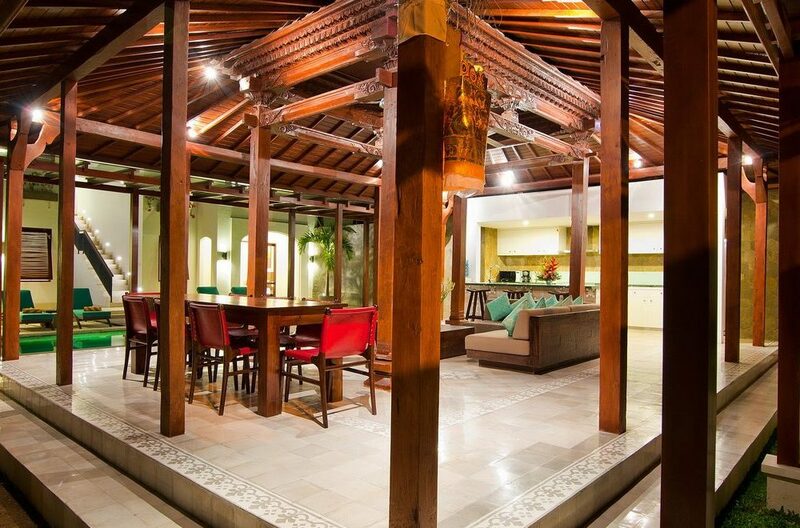 The living is completely open and gives a nice breeze on those hot tropical summer nights. 4 Large bedrooms are located on 2 levels in 2 separate buildings. 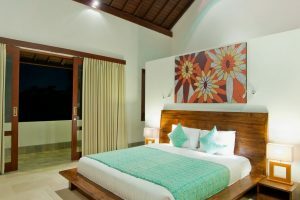 All bedrooms are fitted with large wardrobes, safe deposit boxes and LED TV’s. 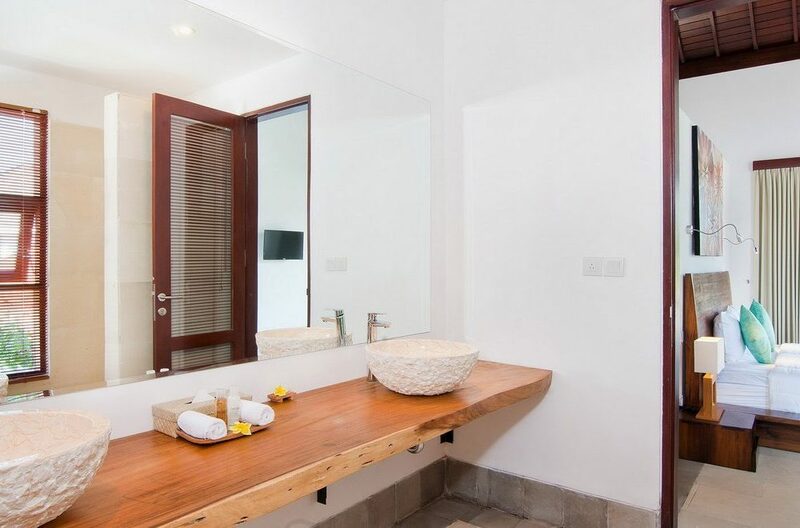 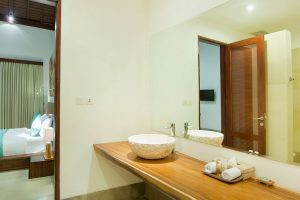 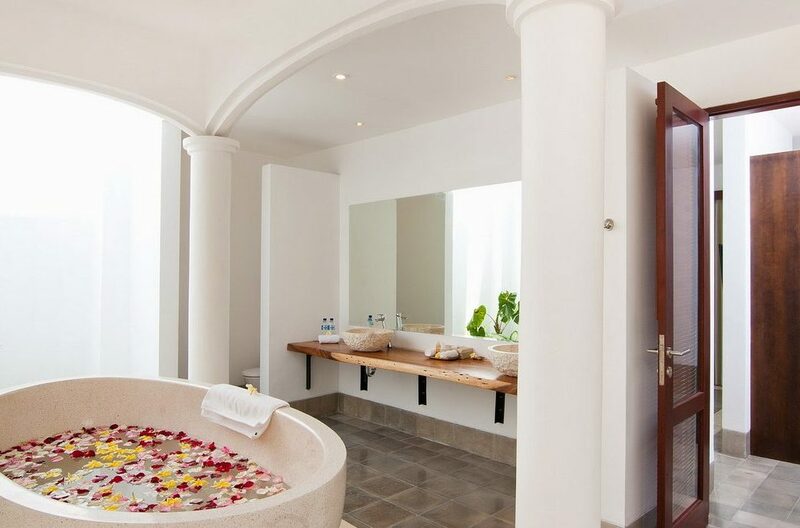 The downstairs bathrooms are Mediterranean style with a separate rain shower and bathtub. 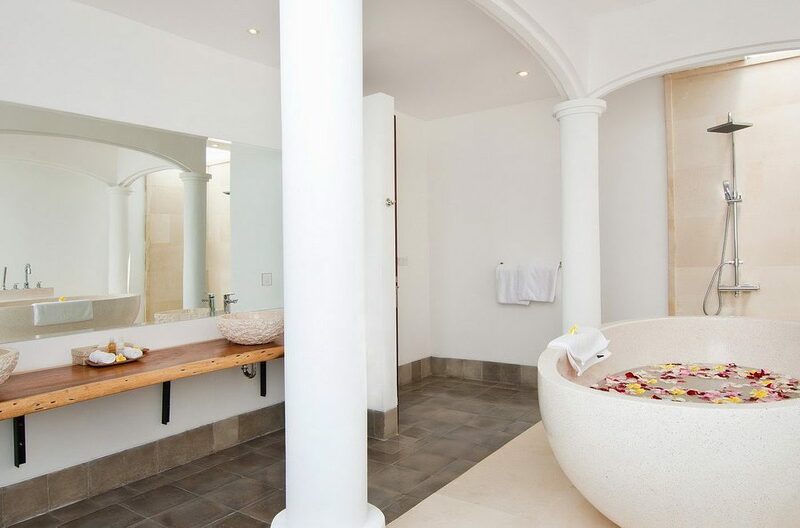 At the far end of the bathroom is an indoor tropical garden. 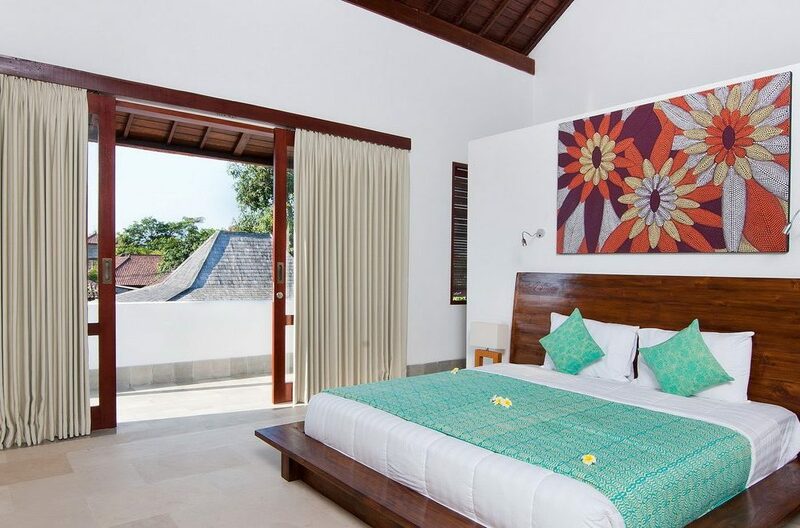 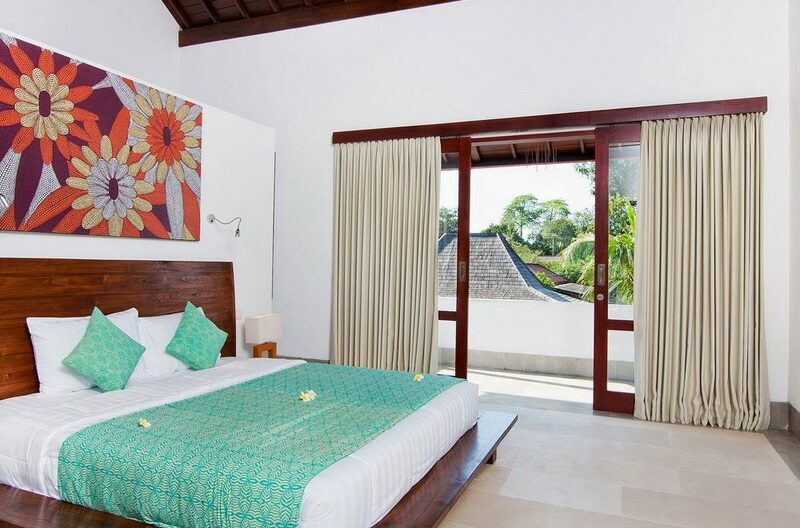 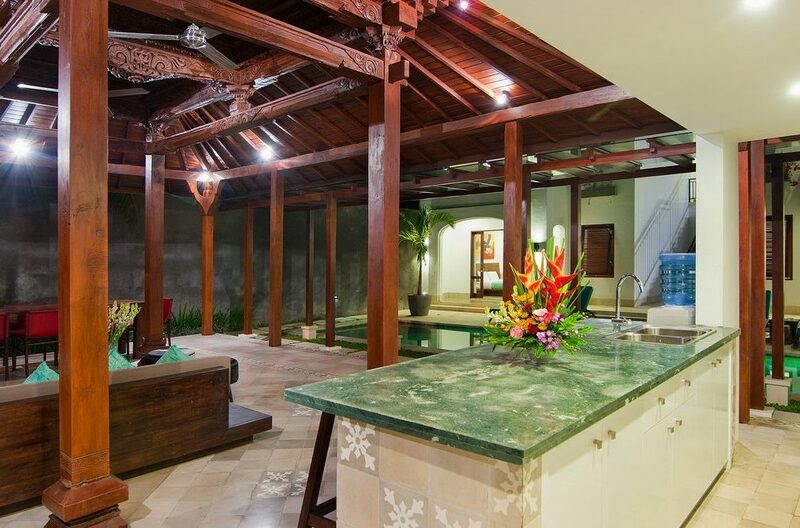 The upstairs bedrooms have a private balcony overlooking the pool area and Joglo. The en-suite bathrooms are fitted with natural stones and have a luxurious feel to them. Our exclusively produced shower and spa products are available in all bathrooms. 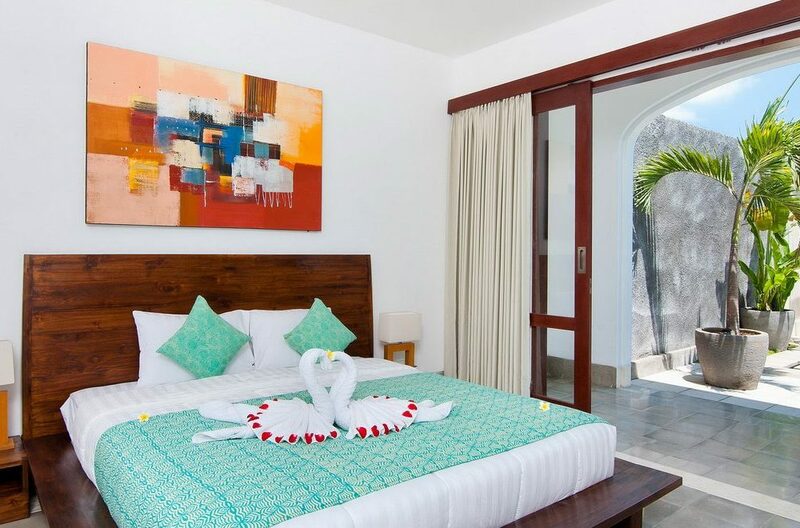 All bedrooms are air conditioned, fitted with a HD-TV with international channels. 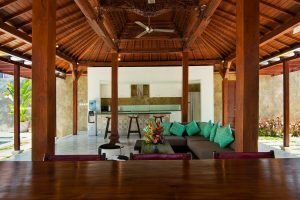 Our villa comes fully staffed with housekeeping, nighttime security, villa management, shopping assistant and maintenance. 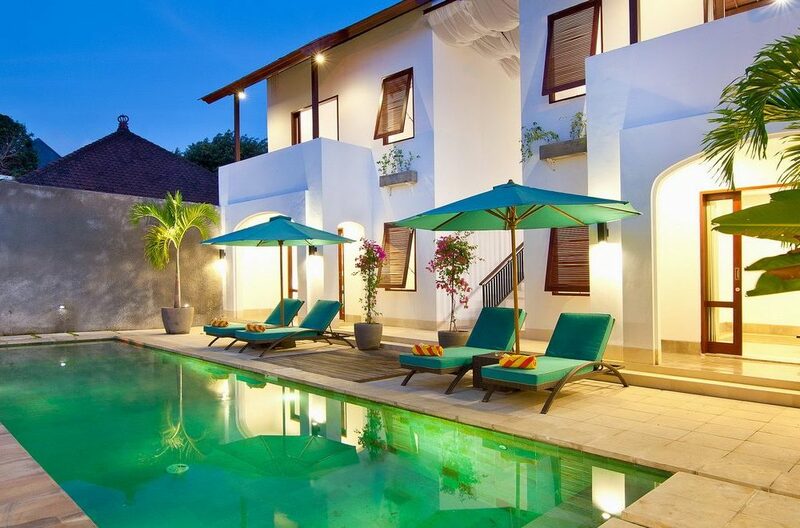 Staff is available 24hrs a day and will cater your every need. 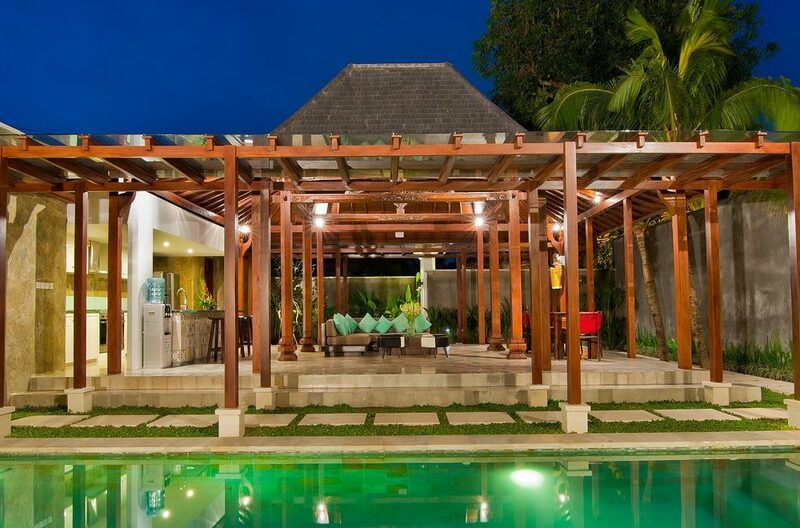 Our private Chef, masseuses and drivers are available upon request. 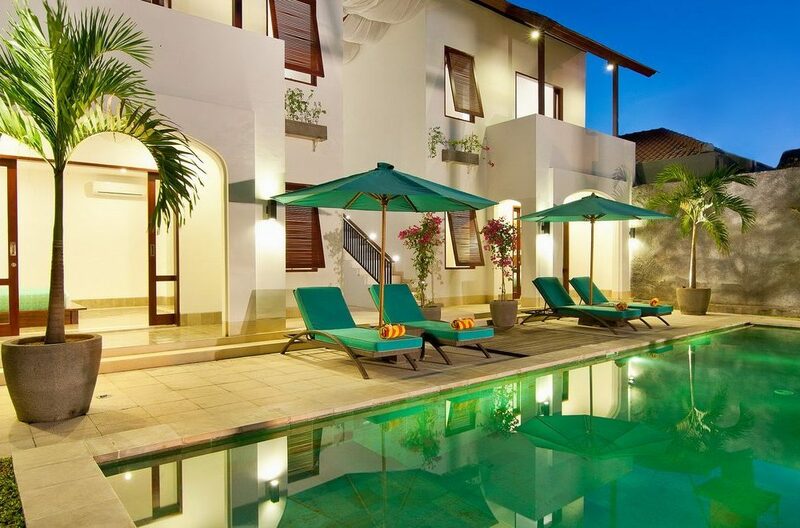 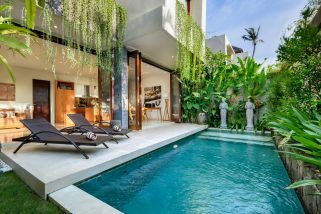 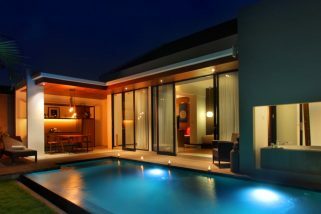 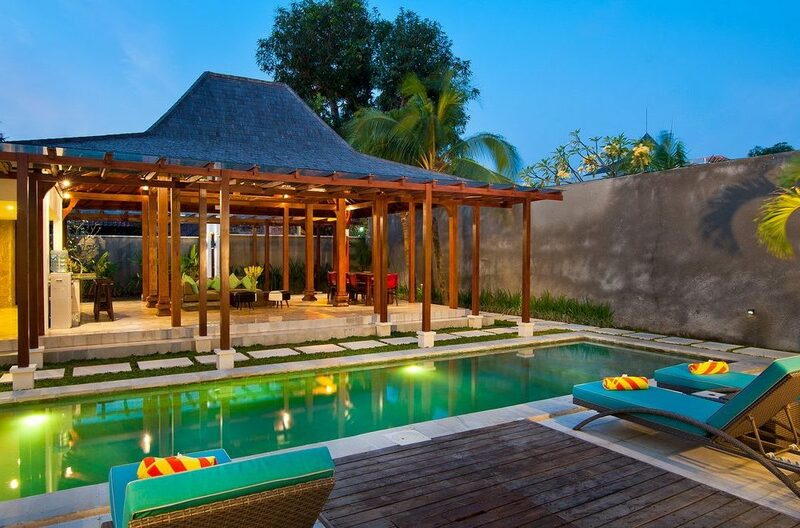 To view all Legian Villas or more Bali villas please use this website or contact us today.